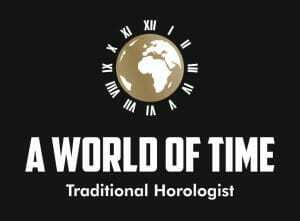 A World of Time are an independent horologists with a wealth of knowledge from both University courses and over 18 years experience in the trade. As we are an independent watch and clockmakers, we are not subject to industry prices and annual price increases. Therefore, we can offer the same services but at a reduced rate. Our workshop is on site so all work is undertaken on the premises. In our showroom you will find a variety of antique clocks from English, French, and German makers. We also stock vintage and new watches, brands including; Rolex, Breitling, Omega, Cartier and many others. Our workshop is equipped to tackle most of your horological needs from a simple battery change to full restoration of both watches and clocks..